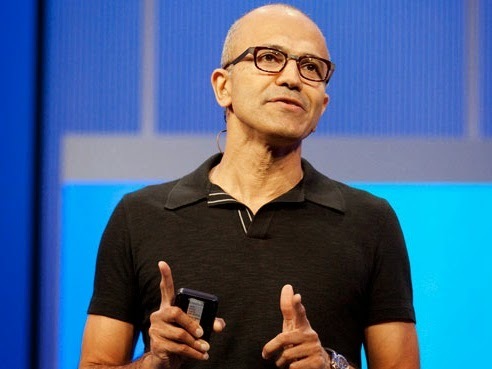 Watching Microsoft this year i have seen a massive change - new CEO Satya Nadella has managed to re-energize the company, clearly focusing it on PRODUCT. Good marketing, sales, product support and investor relations are nice to have, but first and foremost a companies CEO should be working on the products it sells. Doing just that - Satya Nadella has managed to reenthuse its customers, partners and channel. Gone are Steve Ballmers jumping jack, enthusiastic & charismatic speeches, and in return we have an exciting product strategy and a company doing, rather then talking. I know which i prefer, and so does the stock market. Microsoft is going places - product releases are fast and furious. Where we had to wait years for dreary product releases, the announcements and releases are now following each other in rapid succession. And there is a clear focus on the key products. The companies product strategy is aggressive once again and not afraid of large strategy changes. With Satya, Microsoft is clearly back on track. And to think Nick, Satya only took charge of the Microsoft reins in February of this year! Okay, he has spent over 20 years at the tech giant, but his leadership is immense. His message is clear and the team have unified behind his lead. I can see Microsoft pushing on in 2015/2016, especially on the device front, given what they're planning with Windows 10 going 100% cross-platform and driving its other software product subscription sales. Good observations Nick but aren't you quick to rush to conclusions? As they say, the proof of the pudding is in the eating. In this case, the pudding has not even been put in the oven yet.